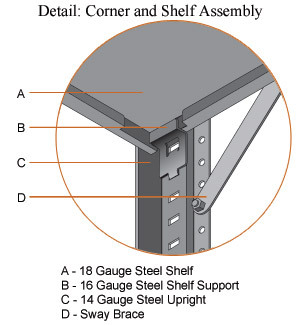 AC/ACR Storage Shelving fills the gap between our inexpensive N&B Storage Shelving and LR Library Shelving, while providing exceptional load capacity. 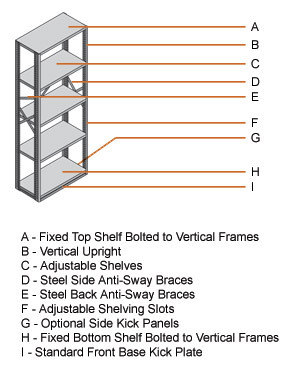 AC/ACR Storage units embody a unique aesthetic that provides an economical alternative to LR Shelving. The soft round vertical posts eliminate sharp corners and provide the necessary setback for concealed shelf adjustment slots; offering an acceptable aesthetic that works even in the "front office."